Prospect House, 60 Nun Street, St Davids. Prospect House was built in the early 1800’s and over the years has been a small hotel, a dairy, a pub and lodging house complete with coach house and stabling. We moved to Prospect House just over 10 years ago. 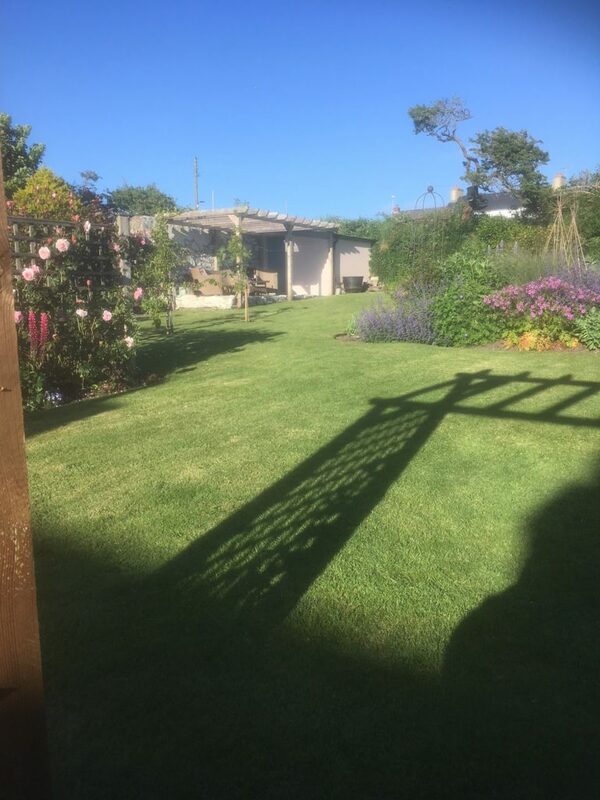 The front garden was gravel and the rear garden was a rough lawn with the bordering walls and Pembrokeshire hedge in need of repair. To the side of Prospect house were old outbuildings or cow sheds that had been converted to garaging. We demolished these and built a new cottage (Ty Peter) and an apartment (Prospect Studio) over a garage / workshop in their place. This work was completed in 2014. To the rear and side of Prospect House is a little building which we love and we believe it used to be the dairy. We have named this the Bothy and have restored this as our office and laundry. As it can’t be seen from the road some people think it was demolished too! This is an opportunity for some people who may be interested to see it with their own eyes. This is one of the few buildings in St Davids to be roofed with Pembrokeshire quarried slates. Also, at the rear of Prospect House is Prospect Cottage which has now been given its own bit of garden. 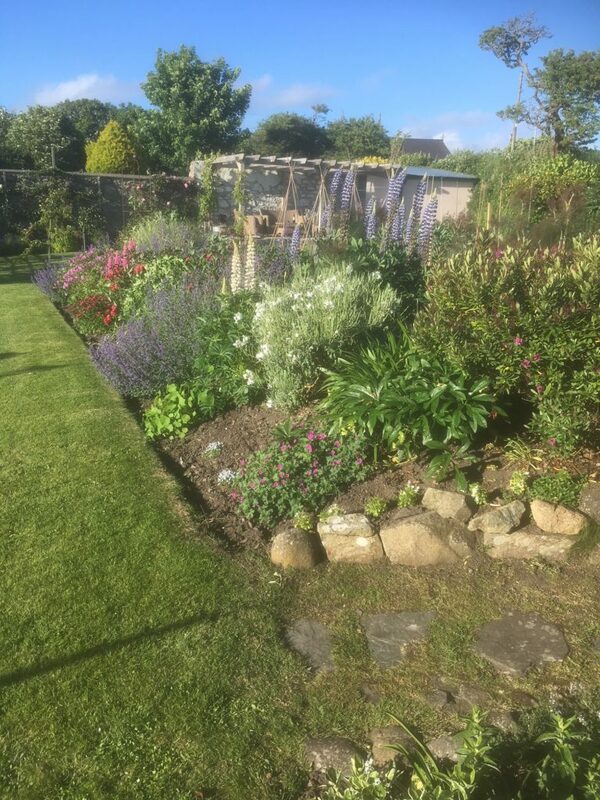 Our garden has evolved under our inexpert care over the years. Some things didn’t work and plants (and trees sometimes!) had to be moved. 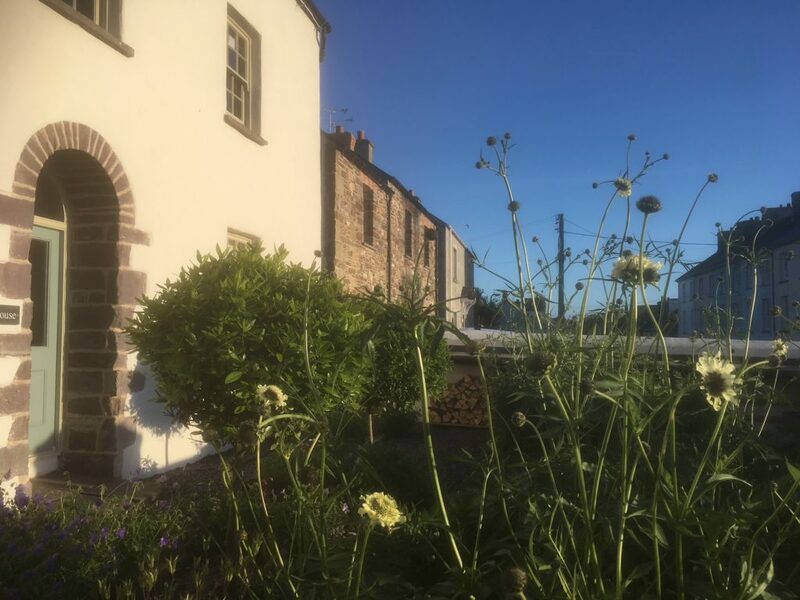 The front garden now has two bay trees either side of the front door and we have perennial geraniums, rock roses, rosemary and agapanthus and scabious which are tall enough to be seen over the front wall when in flower. 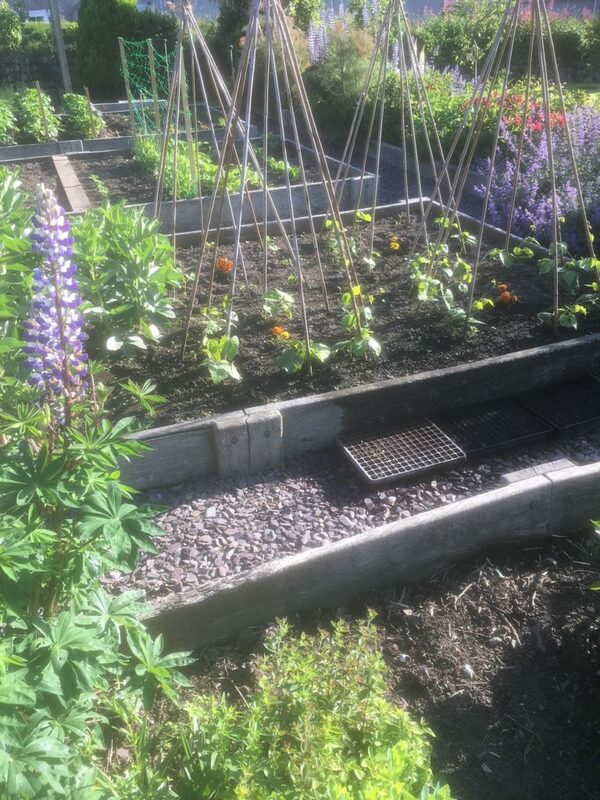 The rear garden has a raised bed vegetable garden which doesn’t provide us with all the vegetables we need throughout the year but we enjoy it! 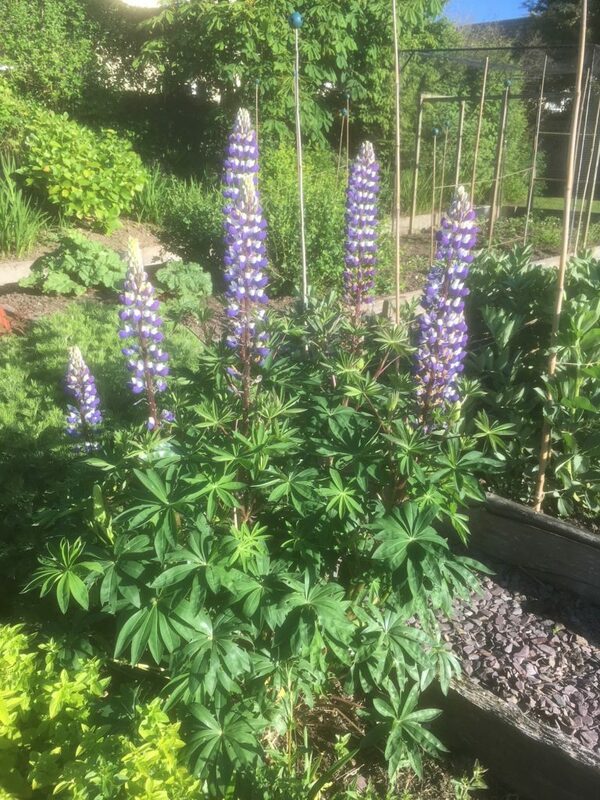 We also have flower beds filled with a variety of perennial plants chosen because we like them. Over the years we have planted a variety of fruit trees and more recently Silver Birch, Sorbus, Amelanchier and native hedging along the top of the Pembrokeshire Hedge. Our current project is extending our herb garden. We do have steps up to the rear garden and also dogs must be on lead.